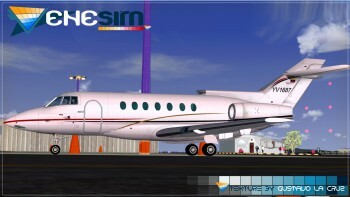 The HS-125-700 and Hawker 800 are two more recent versions of the world's longest running corporate jet production program.The 125-700 and Hawker 800 are direct developments of the DH-125 (later the HS-125), which first flew in August 1962. This aircraft was developed into a number of variants through to the HS-125-600, all of which are powered by the RollsRoyce Viper turbojet and are described separately under Hawker Siddeley.The 125-800 became the Hawker 800 from mid 1993 when Raytheon purchased BAe's Corporate Jets division. Production has been transferred to Wichita in the USA (the first US built 800 flew on November 5 1996, the last UK built 800 on April 29 1997). Current production is of the 850XP (Extended Performance) which was certificated in 1995 and has improved engines for better climb and cruise performance. A new interior is being introduced in 1999, model by Alejandro Lucena, Texture by Gustavo La Cruz.